With spring upon us, I wanted to share a couple of my spring must haves. And I'm not just talking about needing these things for 2017; I'm talking about needing these things spring after spring. 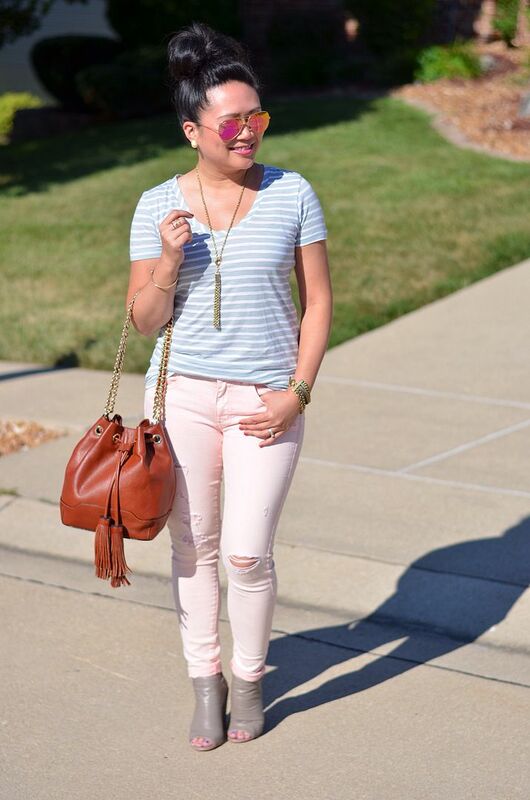 First up, the blush/pink pair of skinnies! I'm such a sucker for pairing soft neutrals together! It's subtle yet makes a statement at the same time! And the palette is so light and refreshing for spring. It makes me so happy! Clearly I gravitate towards blues and greens with my pink bottoms, mainly because they make for a thoughtless combo. I know the colors will always work together. I would never have thought pink bottoms would be such a staple in my spring wardrobe, but clearly they are. Next up are my white pumps! Truthfully, I don't put these away for the winter, but I crave them even more in the spring. Nothing beats a good white pump, I'm positive! They're crisp and create a nice punctuation mark at the end of your outfit. I avoided them for so long because I felt like they were too 90s style, but in a bad way. I was also afraid that I would immediately get them dirty. Luckily this pair has proved me wrong on both counts. I definitely could not do spring without them! 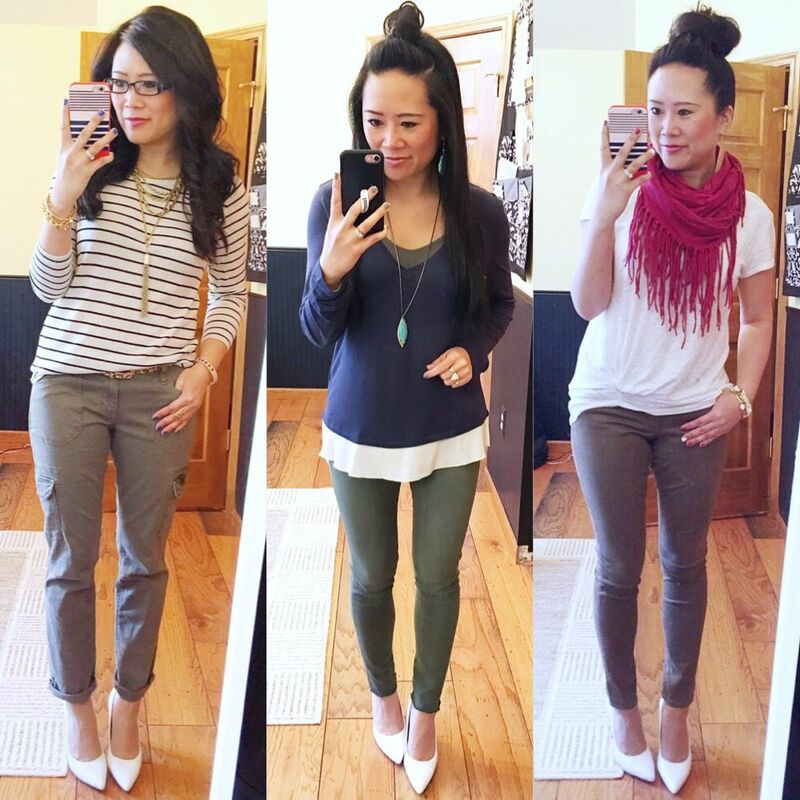 What are your spring pieces that you notoriously turn to year after year? Anything new you need to add to your list of staples? Yes I have a pair of white slingbacks, I need to pull them out soon. 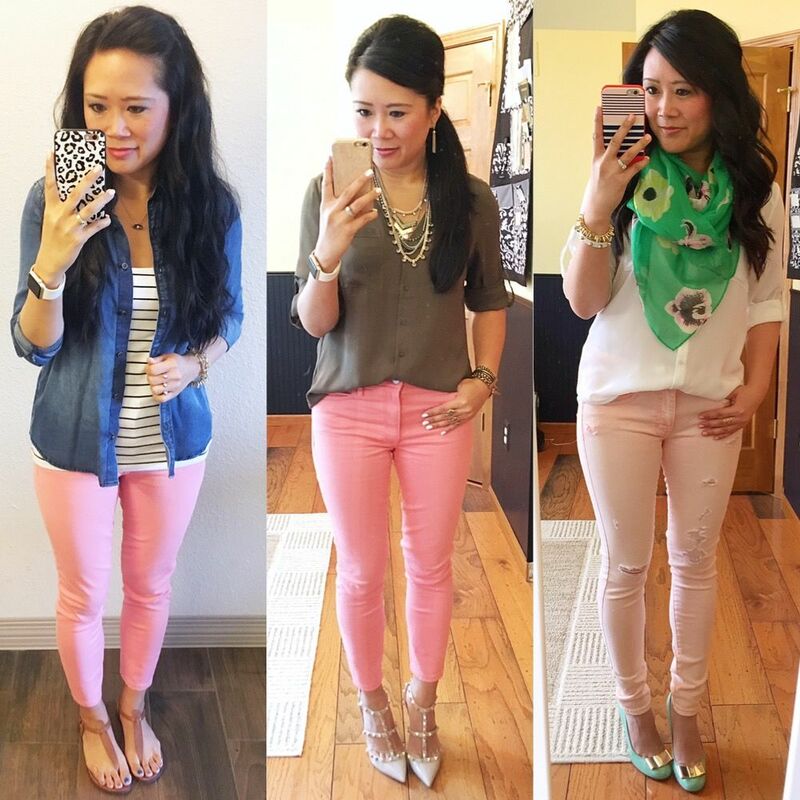 I've been looking for inspiration for my blush skinnies. This post is perfect! 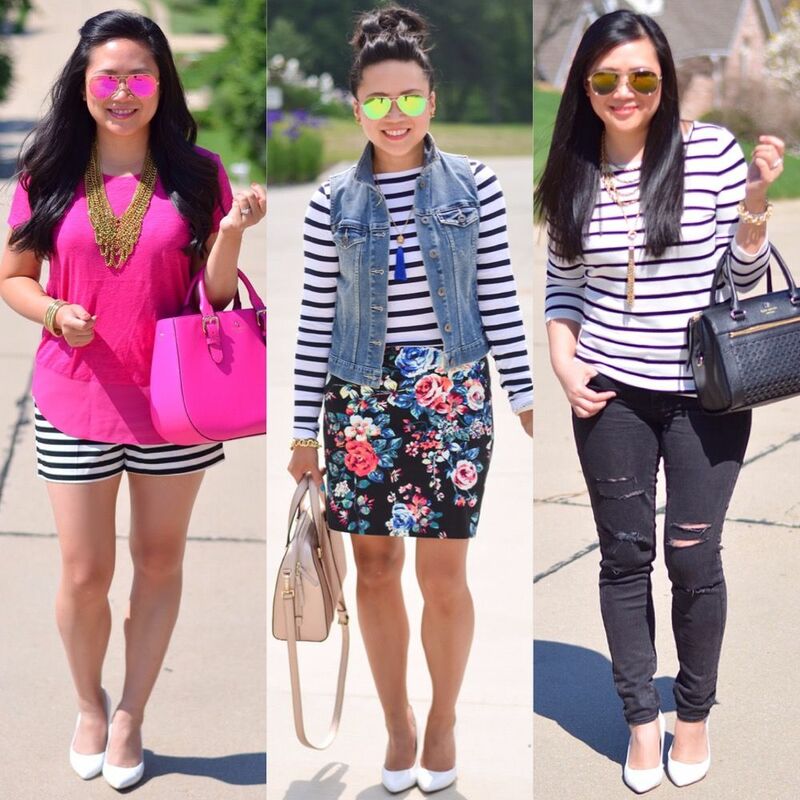 Pinning so many of your looks right now! Love the pink skinnies! Especially the blush pink ones, Cute! Love this post!! I love white pumps all year round as well. 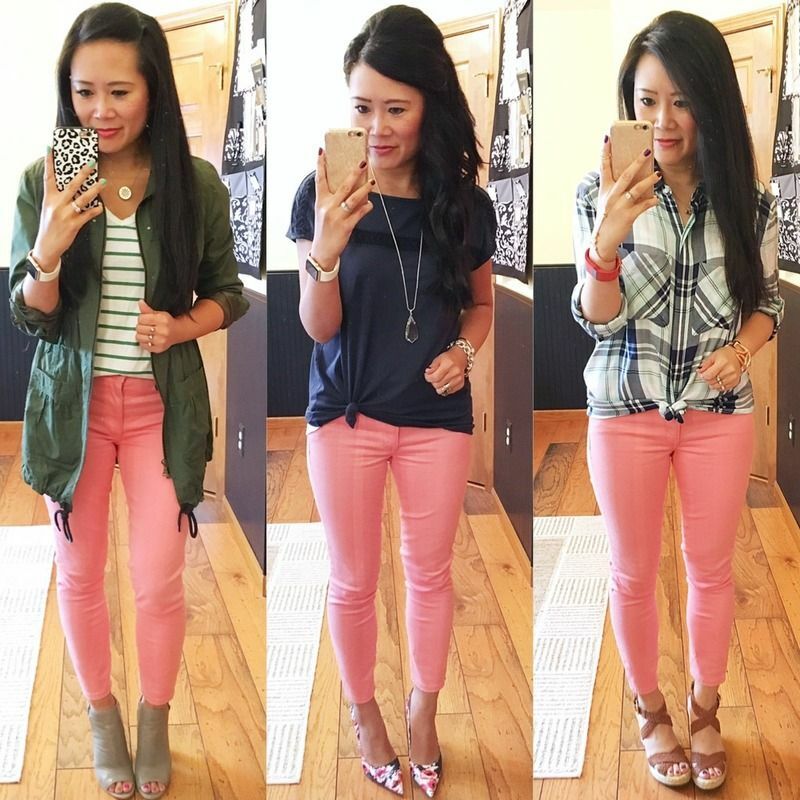 I need some pink skinny jeans now! !